MeenaClick is the online store of Meena Bazar, one of the most reputed supermarket chains in Bangladesh. Their service and products are of International standards and they produce dairy items, organic products, herbal products etc. 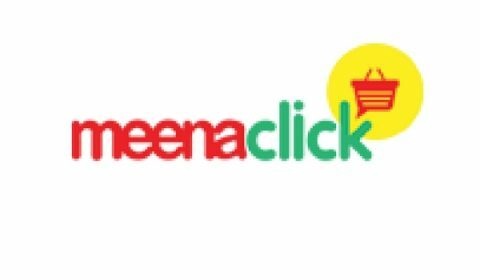 In the year 2002, Meena Bazar started its operation and after 10 years they have launched their first online store named MeenaClick. This online store is the first ever recognized superstore in Bangladesh through which the customers could shop online. As MeenaClick is the online version of Meena Bazar so the customers get all the products available at Meena Bazar and the products are of the same quality. This is why the customer has a huge trust on this online store and they are also satisfied with their services and products. MeenaClick has so many products to offer which are of international standards. Here the customer searches the products category wise and there are sub-categories as well. MeenaClick has got 11 categories of products which include dairy-bakery, food cupboard, beverages, pet food and supplies, baby and toddler, household essentials, personal care, fresh produce, fish, meat, electronics and men’s fashion. In each of these categories, there are many sub-categories and products. As far as it is concerned about delivering the products, MeenaClick has got their own delivery system. If you want you can collect them from their store or get delivered at your home. For delivering convenient, the charge is only BDT 15 and if you shop more than BDT 800 then your delivery is free of cost. The pricing that MeenaClick has set are as similar as Meena Bazar. The prices of each and every product of MeenaClick is comparatively lower than any other superstores and most importantly the quality of their product is much better than their competitors. And these are the reasons behind MeenaClick commendable success.